More than two decades of research -- often originating in US colleges and universities -- have crystallized the strongest possible links between internalizing narrow norms of traditional masculinity and femininity and higher rates of intimate partner violence among at-risk youth, because gender "scripts" for how boys and girls are supposed to act are what drive behavior in intimate situations. This is especially true during the "gender intensification" years of late adolescence and early teens when young people are most likely to buy in to primitive gender codes and most vulnerable to peer pressure to live up to them. 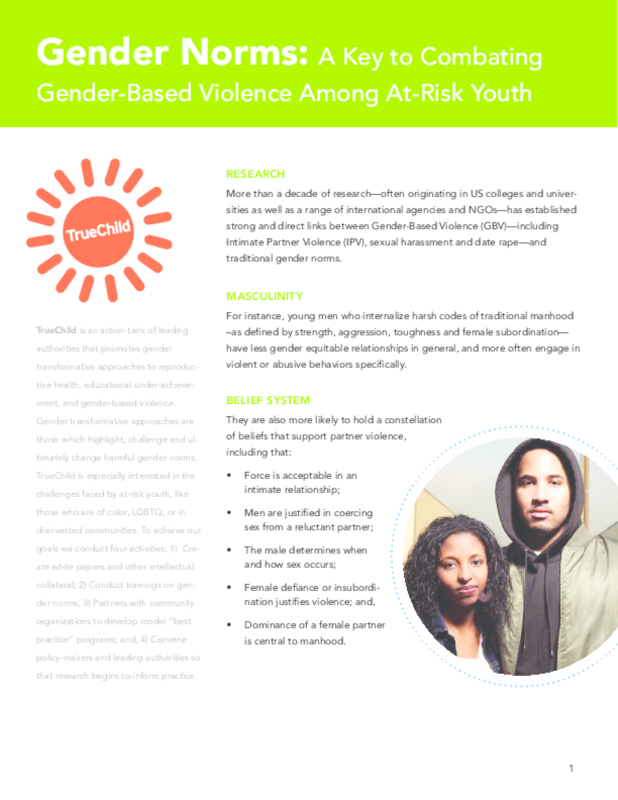 This brief, accessible overview covers the basic findings around gender norms and girlfriend abuse, partner and domestic violence, and homophobic bullying.